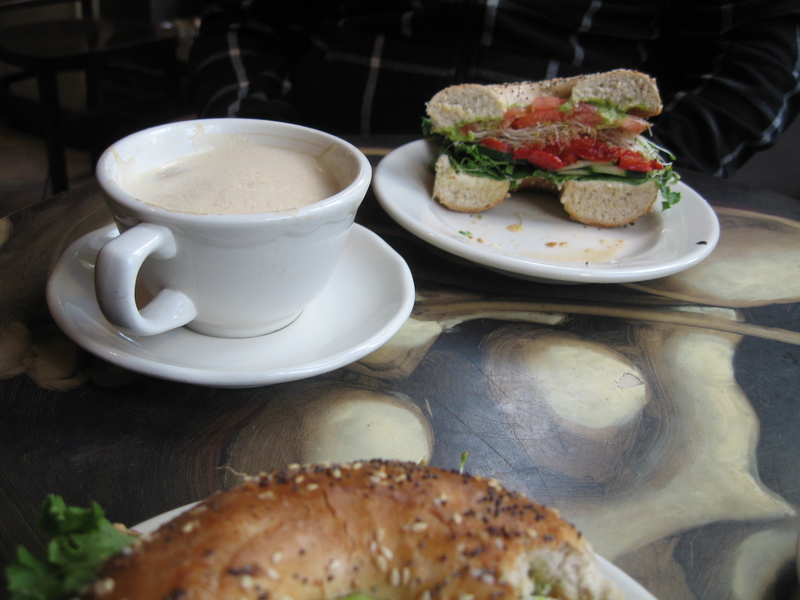 Has the best bagels with tofu spread ever! These are my husband and I’s favorite thing to get when we go to Boston. These are usually located within Espresso Royale’s. Our favorite location is on Newbury St. I have had mixed experiences at Grasshopper, but have come to learn that the only dishes you should get here are ones that are deep fried. The No-Name is most people’s stand-by and it is delicious. This place sells a yummy veggie dog. These are so good and you can get so many different combinations. So for something quick, easy, yummy and cheap this is a good choice. This Thai place has a vegetarian menu that is all vegan and the food is good! I haven’t visited this place yet but I hear that has amazing food and the vegan options are labeled on the menu. (There are a Boston, Cambridge and Waltham locations. Oh and reservations recommended). This was always my college standby when I was going to school in Boston. The atmosphere is really fun and the food is delicious. There are tons of vegan options as well as raw vegan options. The tea selection is amazing and so good as well. If there is one really great place to visit I would suggest here. This place is just below My Thai Vegan Cafe and has great Vietnamese food. They have a great vegetarian menu that has vegan friendly options. The food is cheap, yummy and you get a ton of it. Le’s serves delicious and affordable Vietnamese food in a casual setting. There are plenty of vegetarian dishes to chose from, many of them are vegan. I haven’t tried this place yet but people love it. The vegan options are listed on the menu. Also Faniuel Hall has a big food court with a ton of options that vegans can eat from sushi to indian to thai. There is also a great Mexican place at Quincy Market that I can’t remember the name of but it’s on the left side of Quincy Market and has great food. There are also tons of options at the Prudential Center food court. If you are going with Omni’s Legal Seafood has one vegan dish. There is also PF Changs and CPK which has some vegan options. For quick items there is Bolocco and Qudoba that both have vegan options. If you are outside the city at all Prana in Newton has amazing raw vegan food and The Watertown Diner has a yummy vegan breakfast. Also incase you were wondering Rock Bottom has a veggie burger but it’s not vegan and none of the beer is. Also b. Good used to have a vegan veggie burger but it is not vegan anymore. Thank you so much for compiling this list! I’m a Boston vegan who has slowly been figuring out where I can eat. I do have a few corrections to yr list. TJ Scallywaggle’s became Peace O’Pie (under new management) and the Brookline branch of My Thai has been closed for at least a year (unless it moved from it’s former location and I missed it somehow). Regardless, thnak you, thank you, thank you! I now have some new places to check out! Is Wheeler’s ever actually open? I was in Boston about 6 weeks ago, and super excited to go there, but it looked closed, and was never open when it was supposed to be…I wouldn’t advise making a special trip there; fortunately, I was staying nearby, so it wasn’t a big deal. SUPER disappointing though. Hi, I am one of the owners of Peace o’ Pie. Thanks for the mention. Sorry you couldn’t make it out to visit us!